Former Big brother Naija housemate ,Khloe has reacted to the backlash after she called former friend and fellow housemate,Leo a snake. 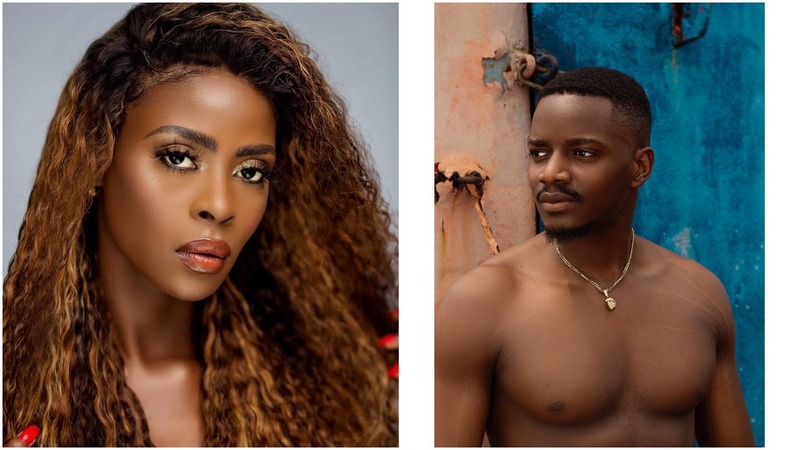 Former Big Brother Naija Double Wahala housemates had a reunion where they were asked several questions about their time in the house . 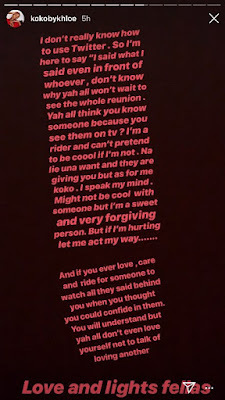 After being dragged on Twitter,she took to Instagram to defend herself ,saying she said it in his presence and people should wait to watch the entire show when it airs .